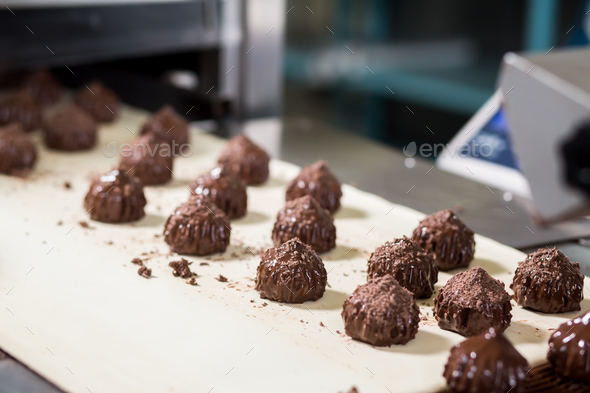 Candies with shavings on conveyor. Dark sweets on beige cloth. Refined taste of new dessert. Sweet delicacy made of chocolate.